It’s always harder going back to work after a three-day weekend. And to think, before this job, every weekend was a three-day weekend! 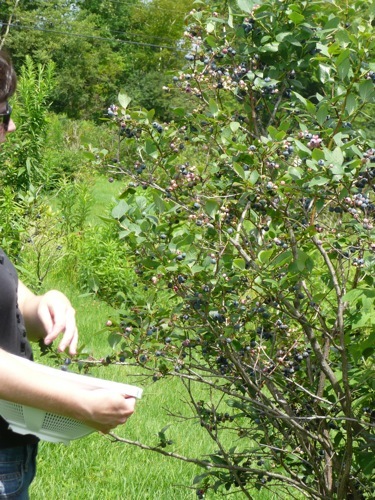 There were enough hours of sun (or at least, not rain) on Friday to go blueberry picking finally. 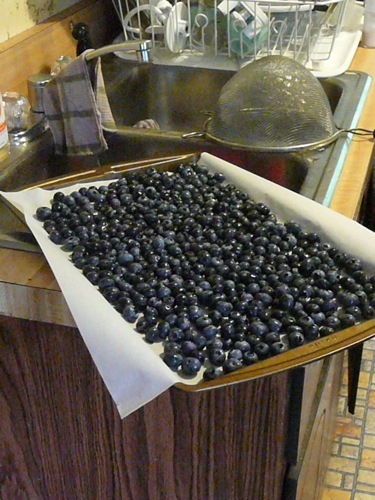 I got a solid six pounds, mainly for the freezer so we can have local blueberry pancakes all winter. I wish I could say that they were from our plants, but they weren’t this year. AppleBerry Farm is half an hour north, and yes, they have blueberries and apples! 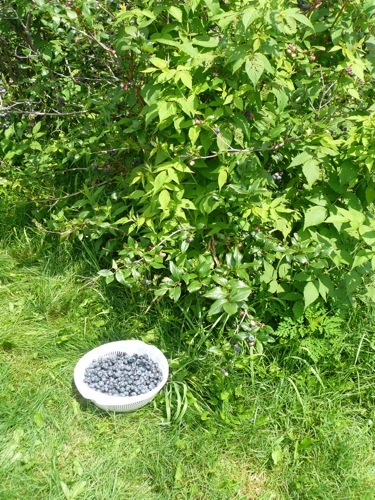 The berries were so huge and plentiful that you hardly had to leave one bush to pick a basketful. I also got extra cucumbers to make slightly sweet dill pickles, which were a success (according to me, not Matt—they were a little too zesty for his taste). I’ll have to start hoarding corn soon. Matt calls me the “crazy corn lady” since I generally buy a dozen a few days in a row and cut the extra half dozen off the cob to freeze for the winter. He may make fun of me now, but when we have fresh local corn at Thanksgiving, he’s more appreciative of my efforts. Once it stops raining, I’ll cut herbs and bring them inside to dry. That’s about where my preservation efforts stop. As much as I would like to, I don’t have a pantry with neat rows of beautifully canned vegetables from the garden. It’s too much work---I prefer to focus on a few things, and anxiously await the others through the winter and spring. Saturday was the only day in the past couple of weeks where there was no rain. We went on a hike with one of Matt’s friends. I planned to work in my studio, but when I saw it was sunny and I was enviously staring out the window, I knew I had to go along. Four hours and six miles later, I was happily eating a hamburger and fries at Water Street Grill, having deserved every morsel of it. 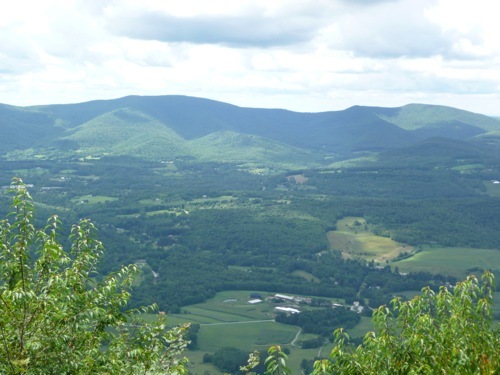 I was glad to have gone along, especially after seeing a bald eagle swoop by us while we were admiring the view. If Matt and I ever open a restaurant, he will have to make his chicken wings at least once a week. He has devised a method involving a dry rub, wing sauce, and the grill that has zero butter. If you don’t eat the skin, they’re almost healthy….and entirely delicious! I think my fresh mint ice cream would be on the summer menu, with chocolate chip cookies and hot fudge. The perfect August dinner…along with some corn and pickles.